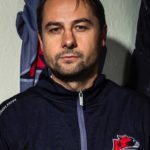 Murrayfield Racers’ boss Tony Hand says Sunday’s home game against Kirkcaldy Kestrels (face-off 6.00pm) is a massive one for the reborn club. Hand’s side face the Kestrels in a crucial Stuart Robertson Cup fixture, with the Edinburgh-based outfit chasing a place in the final of the newly-formed competition. 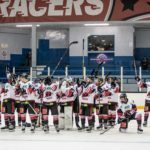 The Racers are a point behind Dundee Comets in the eastern group and a victory this weekend would take them to the top of the standings with one game apiece to play. Murrayfield have recorded a win and a draw in two league and cup meetings with the Kestrels this season and Hand is expecting another tough battle on Sunday. 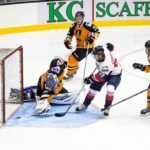 “This is a huge game for us – it would be great to give ourselves a shot at reaching a final in our first season back on the ice,” he said. 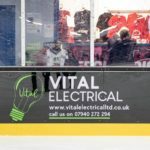 “The Kestrels were the better team when we met in Kirkcaldy a couple of weeks ago and we cannot underestimate them. This weekend’s game will also feature a Teddy Bear Toss, which the Racers are hosting in conjunction with local Edinburgh charity Helping Hands. Fans of both teams are encouraged to bring a new teddy bear to the game in a clear sealed bag and when the first goal is scored to throw them onto the ice. All the bears will then be gathered up and distributed by Helping Hands to children’s organisations across the Edinburgh area to help them enjoy Christmas. “I really hope that people in the Edinburgh come down to Murrayfield Ice Rink and support this event,” added Hand. “We’re keen to make a real difference this Christmas and put a smile on the faces of local children who might need a boost. Tickets for the game are on sale HERE.